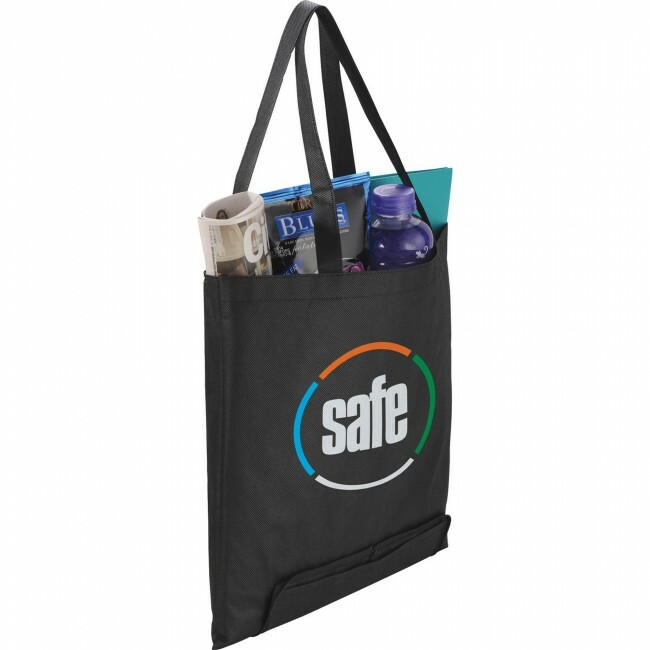 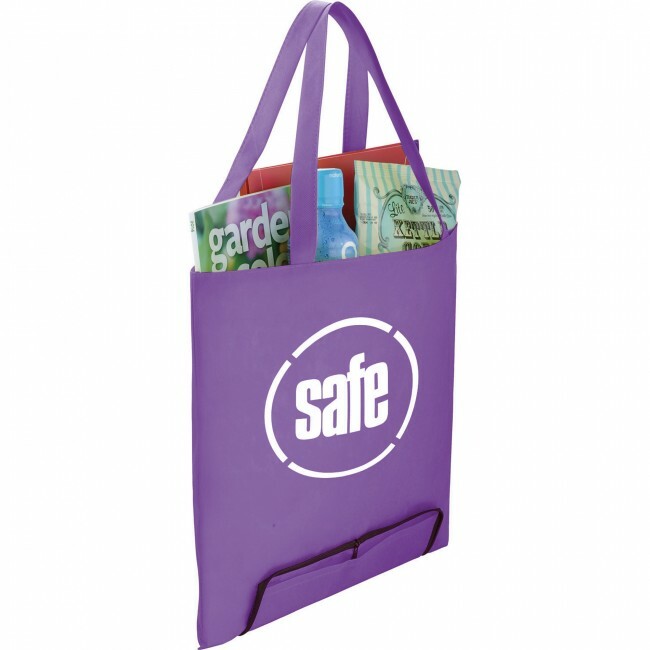 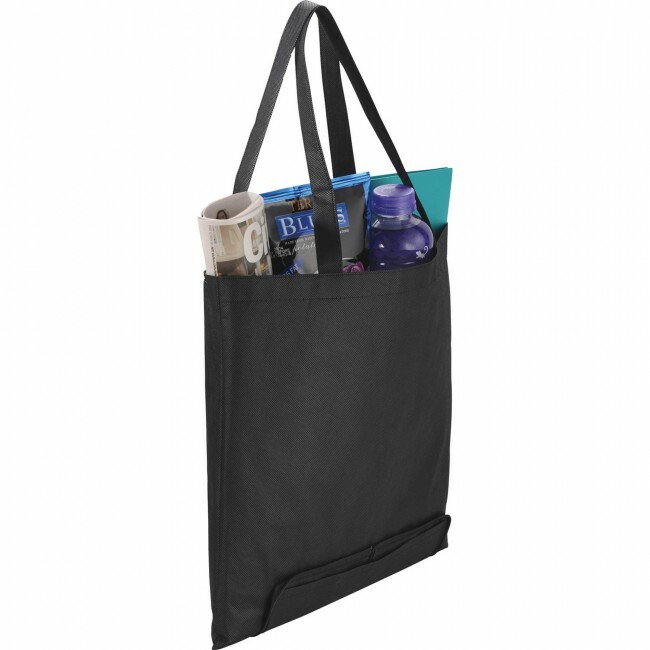 The Compact Non-Woven Zipper Folding Tote has an open main compartment with double 20 inch handles. The tote also conveniently zippers into a compact 6 inch by 4 inch carry pouch. Black, Lime Green, Purple, Red, Royal, Blue. 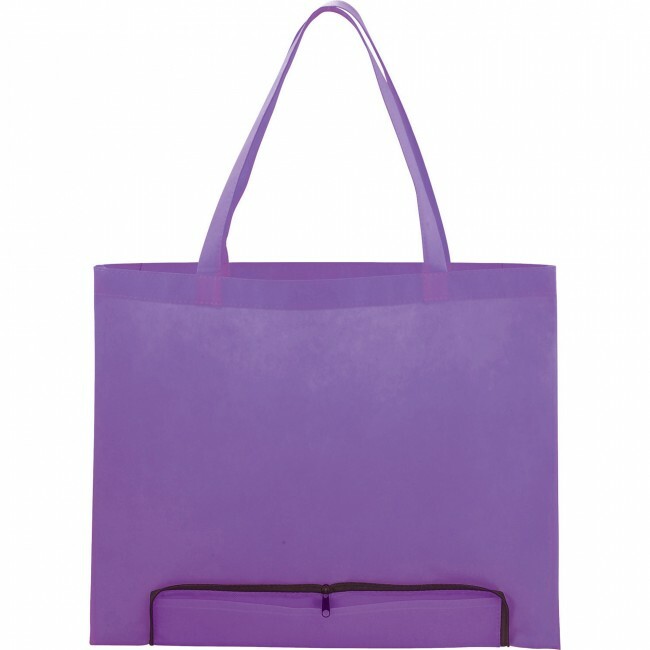 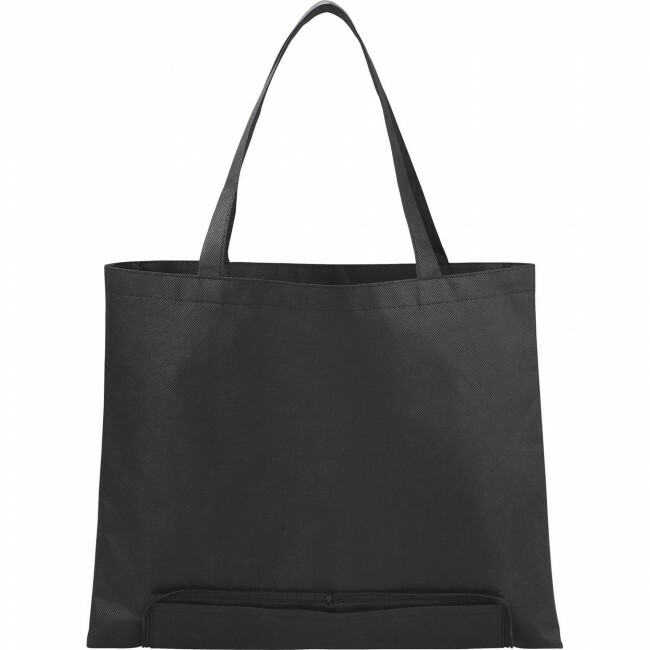 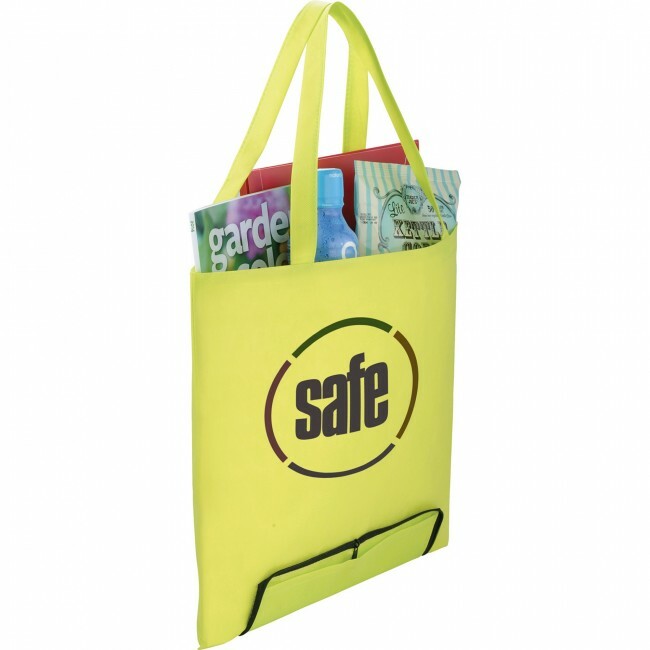 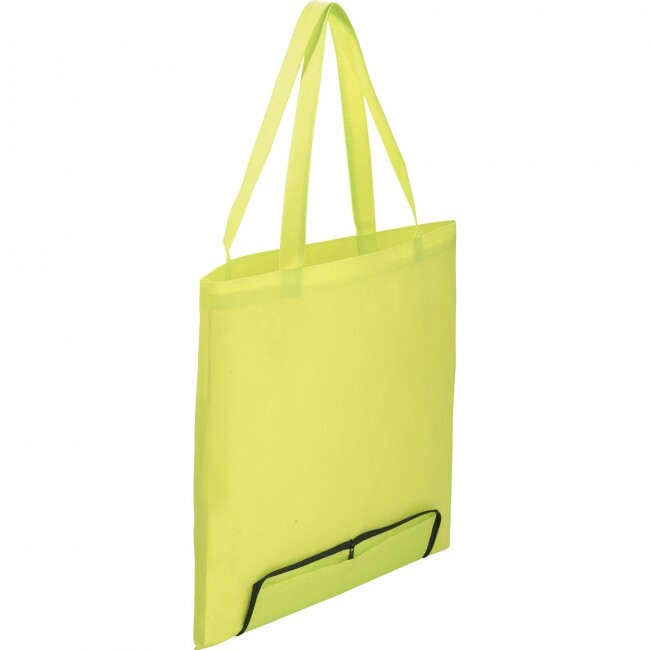 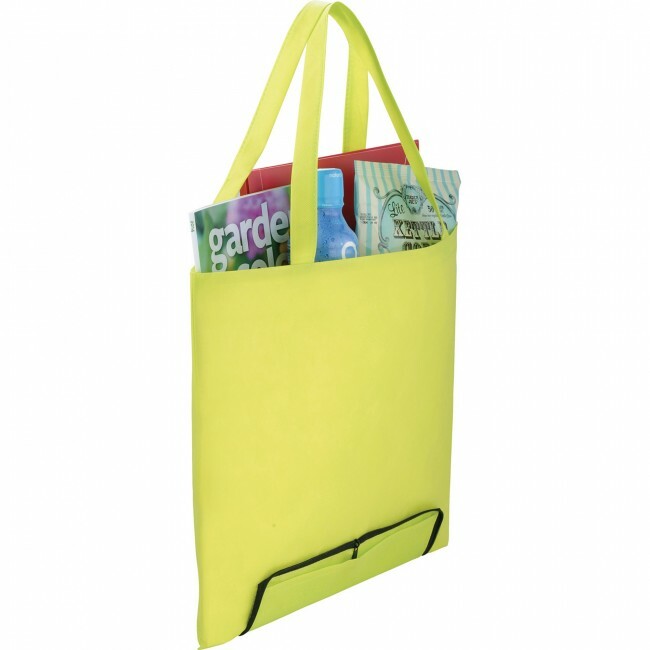 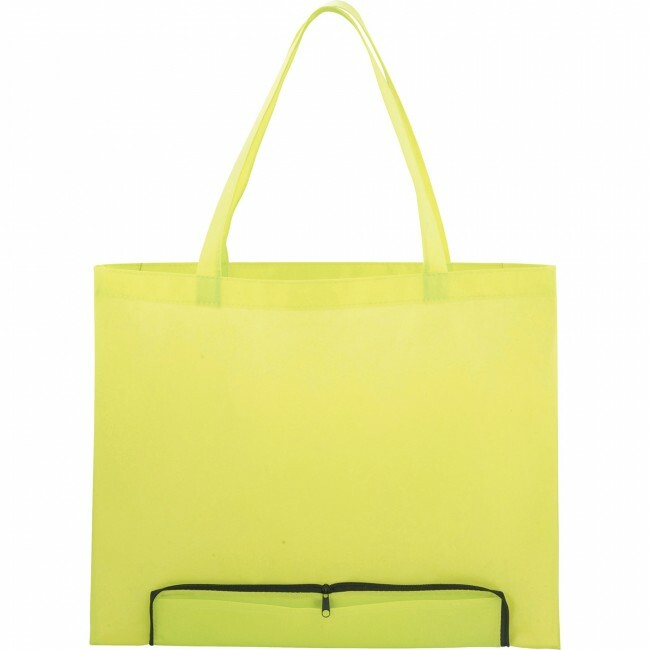 The Compact Non-Woven Zipper Folding Tote is a multipurpose tote. 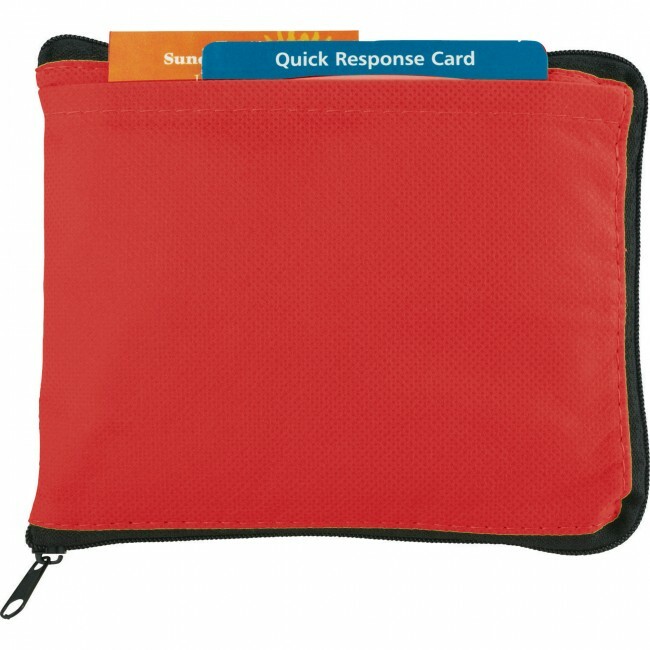 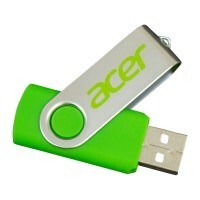 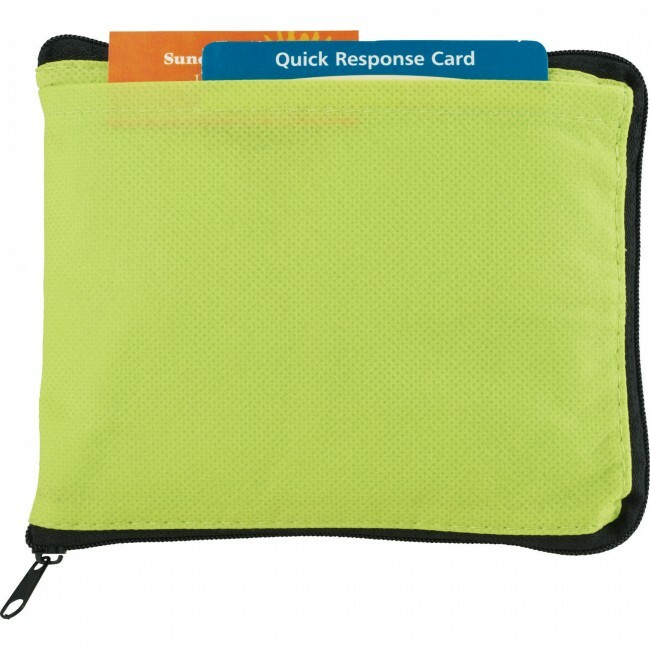 As well as having a large open main compartment, it has a zipper pouch where you can store your phone, wallet or keys. 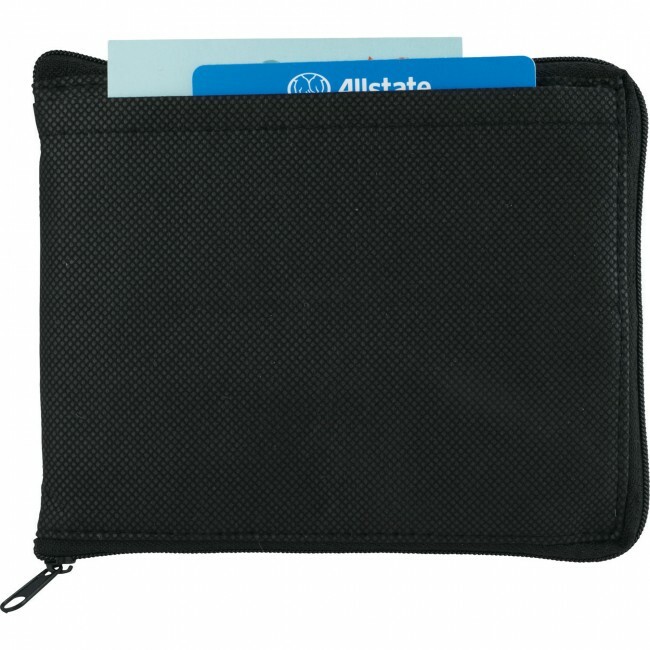 Helps you stay organized with its two compartments and comfortable design. 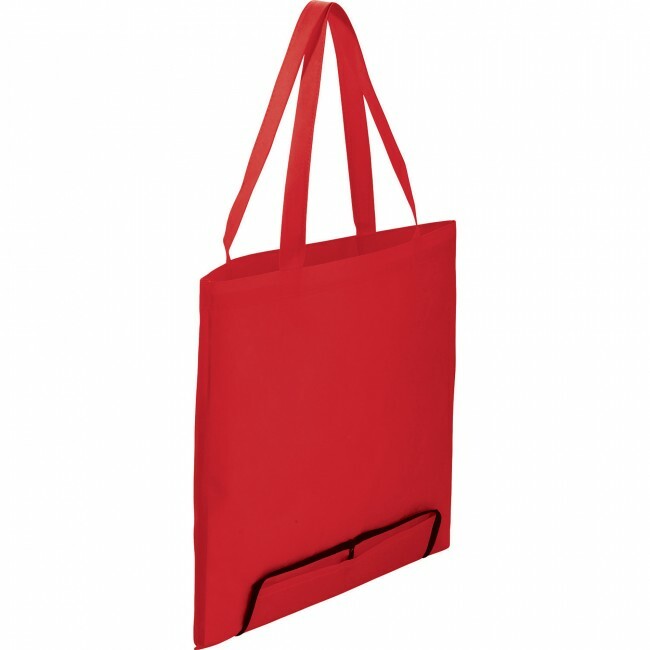 Carry it from one day to the next as it is a durable bag. 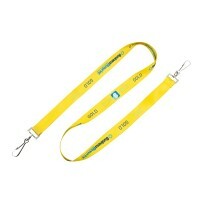 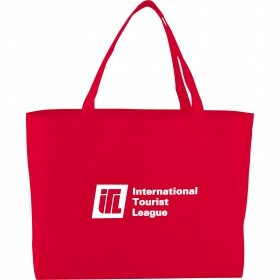 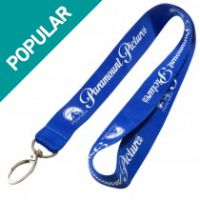 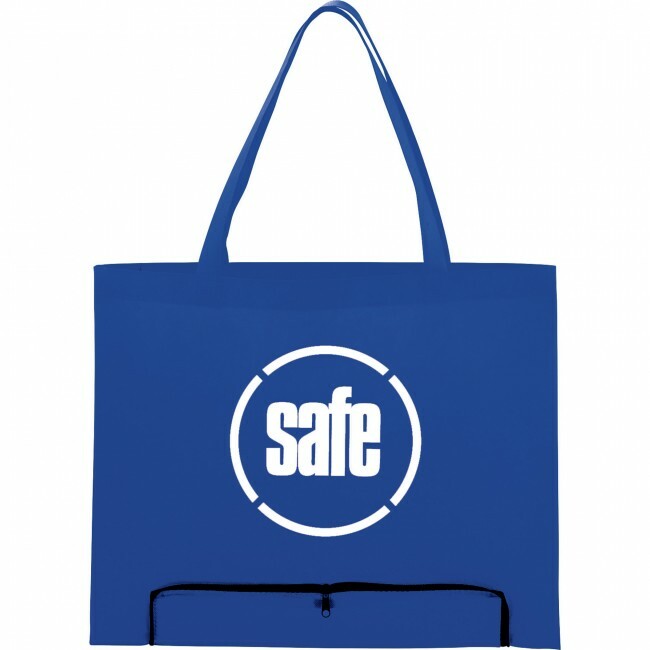 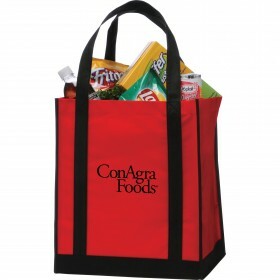 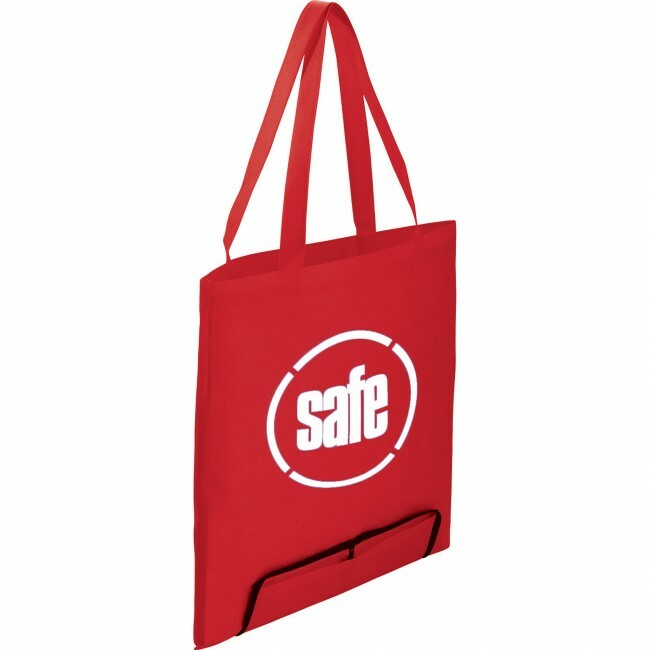 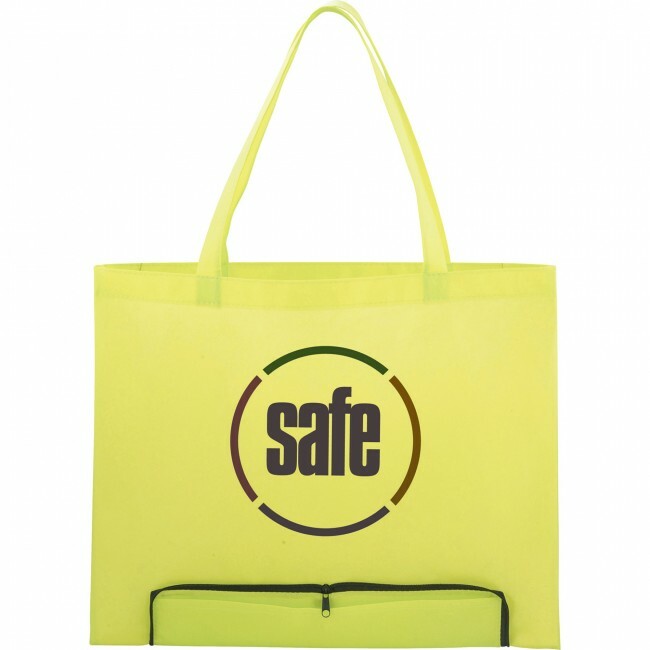 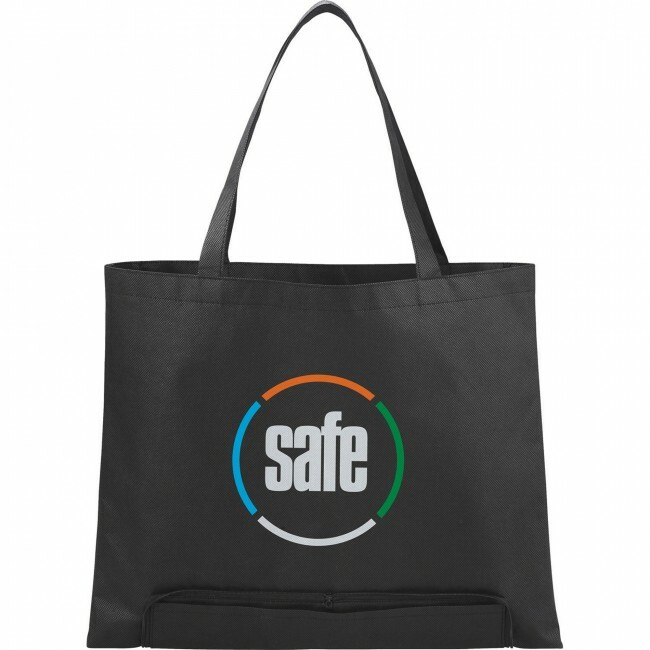 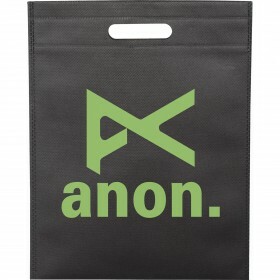 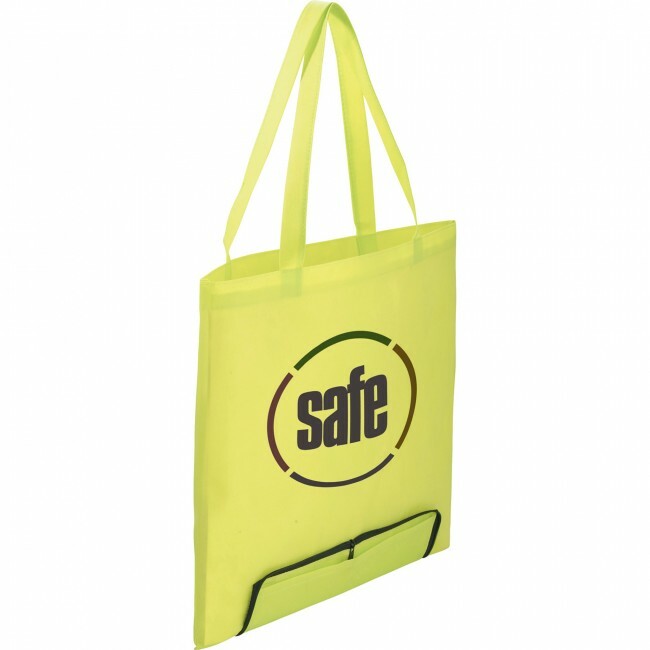 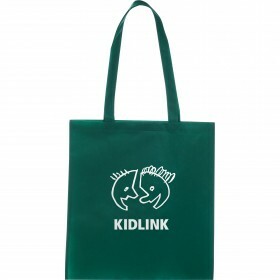 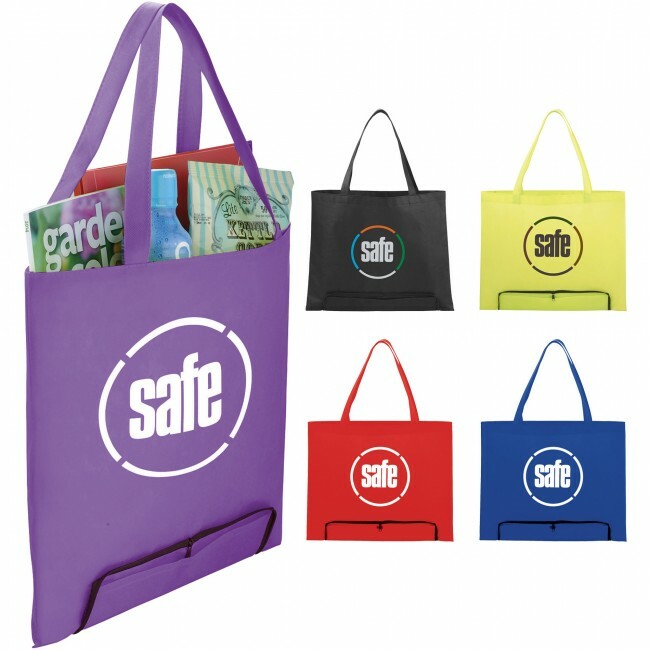 Display a color logo on the front and it's great for groceries, the beach or a picnic.